Want to Join the 99s? 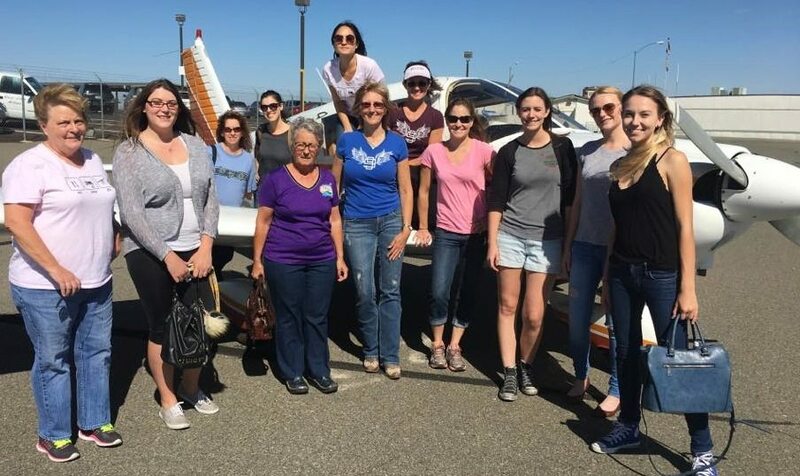 Licensed woman pilots (current or not) and student pilots are invited to join the Ninety-Nines, Inc. Become a part of our legacy as the first and only international organization of women pilots, and be a positive force in our local aviation community! If you do not have a pilot certificate yet but want to fly, please come to one of our monthly meetings. We can help get you started! Invitation to participate in all chapter, section, and national events. Subscription to The Ninety-Nine News, our bimonthly national magazine. Eligibility for scholarships sponsored by the Ninety-Nines. Camaraderie and support from other women pilots. Mentoring through the Professional Pilot Leadership Initiative (PPLI). Networking opportunities in within the aviation industry. 1. Join the Ninety-Nines, Inc. first. Visit https://www.ninety-nines.org/membership-application.htm to access the membership application. You may submit your application and annual dues online or by mail. Please note that a copy of your student pilot or pilot certificate is required in order to process your membership application. 2. Contact our Chapter Membership Chair. She can provide information about our upcoming events, add you to our email distribution list, and answer any questions you may have about joining our group. 3. Join the Phoenix Chapter. Our local chapter collects $15 annually in dues. Contact our Treasurer or come to a chapter meeting to find out more.